Vision Backflow provides assembly, installation, and tester information in addition to the tracking standards you deserve. 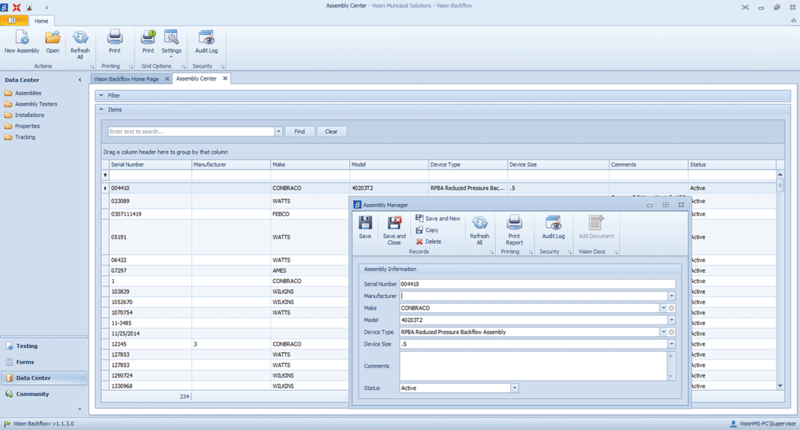 Vision Backflow allows you to keep track of all assemblies by Type, Manufacturer, Make, and Model. 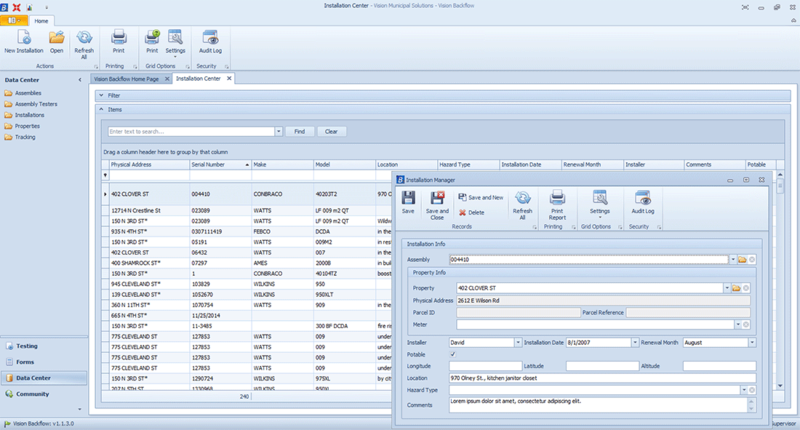 This application integrates your Customer List from Vision Utilities, preventing the duplication of data entry. 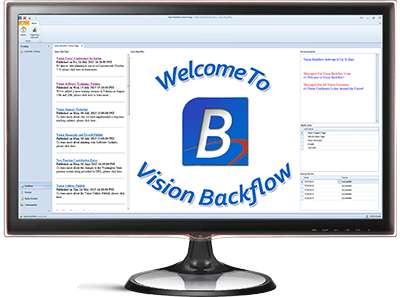 Vision Backflow leverages the power of Microsoft SQL Server together with Reporting Services integrated into a Microsoft Office® based user interface to meet the needs of any utility provider. 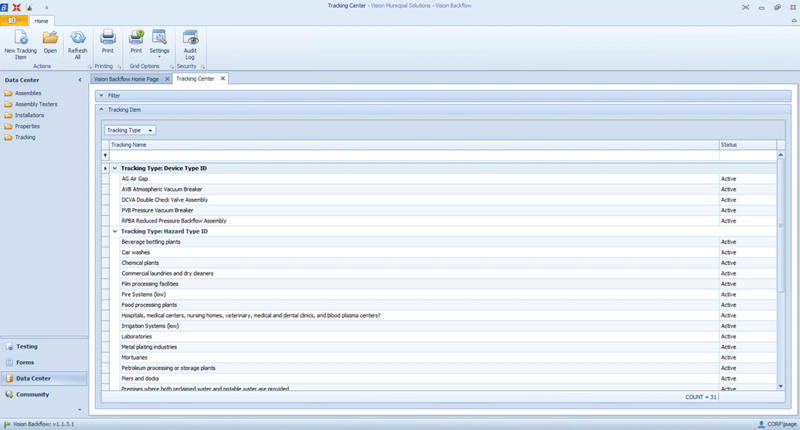 Track, Search, and Report on any Assembly detail. Track Property, Installer, and Location Information. Unlimited Tracking for detailed reporting.